From their humble beginnings as a fringe media platform, podcasts have since grown into one of the most popular ways to distribute and receive news and information to a mass audience. 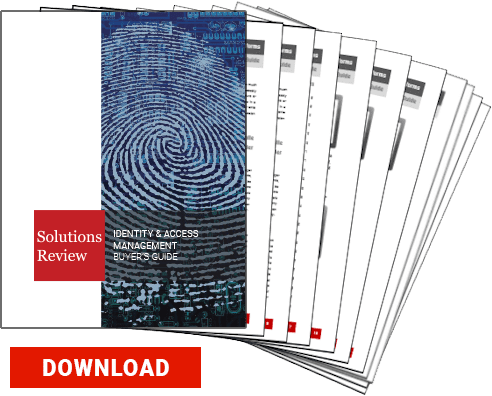 In particular, identity access management and cyber-security podcasts are garnering attention and accolades for delivering compelling content on some of the most complex and vital subjects of the modern age. Indeed, cyber-security podcasts can be a great resource for the expert and the amateur alike. Experts from around the world—from outside observers to solution provider researchers—have molded cyber-security podcasts into a platform for helping enterprises, solution architects, fellow researchers, and laypeople secure their IT environments. In that spirit, we’ve decided to list our 14 personal favorite cyber-security podcasts for 2019, listed below in no particular order. Use them as an opportunity to educate yourself next time you’re stuck in traffic, handling a rote office task, or catching up on Identity and Access Management best practices at home while washing dishes. A fantastic source for bite-sized daily InfoSec news, SANS’s Stormcasts are daily 5-10 minute information security threat updates. Unlike SAN’s monthly webcast, these updates are small, simple to produce, and are released reliably—ideal for the quick refresher on the go! Keep up with what’s current in security with this cyber-security podcasts. This bi-weekly news show, produced by the folks behind the Security Current news site, features interviews with experts in IT and Information Security discussing the latest trends and headlines in security and identity. If you search through cyber-security podcasts on data breaches and digital identity for a little more thrill and intrigue, check out Breach. Hosted by cybersecurity journalist Bob Sullivan and veteran podcast producer Alia Tavakolian, Breach calls on experts and white hat hackers to find out why breaches occur…and why enterprises fail to stop them. This popular Information Security news and analysis podcast hosted by Daniel Miessler tackles several top security stories every week…all in one take (hence the title). Take 1 is a solid resource for busy InfoSec pros looking for on-point analysis in a direct format. A relative newcomer to the podcast game, Defrag This comes from the folks at secure file transfer vendor Ipswitch Inc. Every week, Ipswitch’s hosts, including Jeff Edwards, and their guests discuss InfoSec trends, breaking news, and more. Usually, each episode has a certain theme in mind, such as healthcare attack vectors or network troubleshooting. Risky Business is an excellent Information Security news show hosted by journalist Patrick Gray. Gray has been running Risky Business since 2007 and does a great job keeping up with (and explaining) the latest security concepts. Show notes are also provided, with links for each story and concept covered, allowing you ample opportunity for continued education and research. Check out Risky Business here, or get it on iTunes. Even with cyber-security podcasts to help, staying abreast of everything going on can be a challenge. This weekly podcast, hosted by Rafal Los, James Jardine, and Michael Santarcangelo analyzes the most significant security stories in the news and often features expert guest interviews to make everything clear. Cybersecurity doesn’t have to be a maddening field. 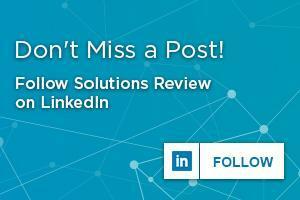 Tripwire’s Security Slice, hosted by Shelley Boose, is a longstanding favorite of the Solutions Review Team tackling the biggest current issues and events in digital identity and InfoSec. It features interviews prominent guests for their take on the state of cybersecurity. This weekly security podcast from Paul Asadoorian and company has been running since 2005, making it one of the longest-running cyber-security podcasts on this list. Security Weekly takes an in-depth, technical look at new security products, ideas, and techniques and features special guests from across the industry. Each podcast is supplemented with detailed notes breaking down the topics covered. Check out Security Weekly here, or get it on iTunes. Defensive Security is a cyber-security podcast covering breaches and strategies for defense. Showrunners Jerry Bell and Andrew Kalat characterize the show as “an attempt to look at recent security news and pick out lessons we can apply to the organizations we are charged with keeping secure,” and the two infosec veterans do just that. A must-listen for the modern enterprise. Check out Defensive Security here, or get it on iTunes. If you are looking for more specialized cyber-security podcasts, the ISMG Network puts out a wide variety of field-specific podcasts. These include Banking InfoSecurity, DataBreachToday, CareersInfoSecurity, HealthInfoSecurity, and more. 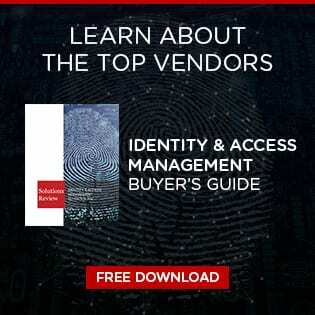 ISMG is one of the only publishers on this list to put out new content daily and therefore is a good source for listeners with interests in industry-specific cyber-security news. The Southern Fried Security Podcast is designed to be an information security podcast that fills the gap between technical security podcasts and broader InfoSec news discussions. With light-hearted but informative discussion, this podcast has something for everyone, but it’s specifically geared towards those in operations and management positions. Check out Southern Fried Security here, or get it on iTunes. Crypto-Gram Security is a monthly information security newsletter written by cryptographer, cyber security expert, and author Bruce Schneier and read aloud by Dan Henage. The Crypto-Gram newsletter is an invaluable resource for a variety of information security news and is a particularly valuable source for encryption news and information. Check out the Crypto-Gram newsletter here, and get the podcast here. Security Now! is a weekly security column and podcast from Steve Gibson and Leo Laporte. Every week, Gibson and Laporte catch up on the week’s most interesting security events before embarking on a more in-depth discussion of the week’s topic. Typical topics include security vulnerabilities, firewalls, virtual private networks (VPNs), password security (of special interest to identity and access management) and more. Get the Security Now! Podcast here.